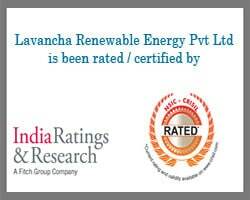 I am extremely delighted by the service provided by your company ” Lavancha Renewable Energy Pvt Ltd ” Solar Daylighting product is working very well & I am happy that it will help us to cut down our electricity bills for 25+ years. Looking forward to work with you again . This is the best place to get products and services in time. I got a solar & wind turbine installed at my rooftop for domestic purpose. Lavancha was very professional in their approach. Really recommend them for all your renewable energy projects. This is a one stop place where one gets to experience innovative solar technology. Awesome product n service and too happy with it.